Download an easy guide for window film care and cleaning that you can print and keep handy at home! Window film is a high-technology product. Although it’s only several mils thick, it is a complex multiple-layer product that is very strong and extremely powerful. But, it does require some special considerations for care and cleaning. Please follow the manufacturer recommendations following installation, and allow the window film to properly cure before cleaning. Drying time will be approximately 30 days in warm weather, and up to 90 days in winter months. 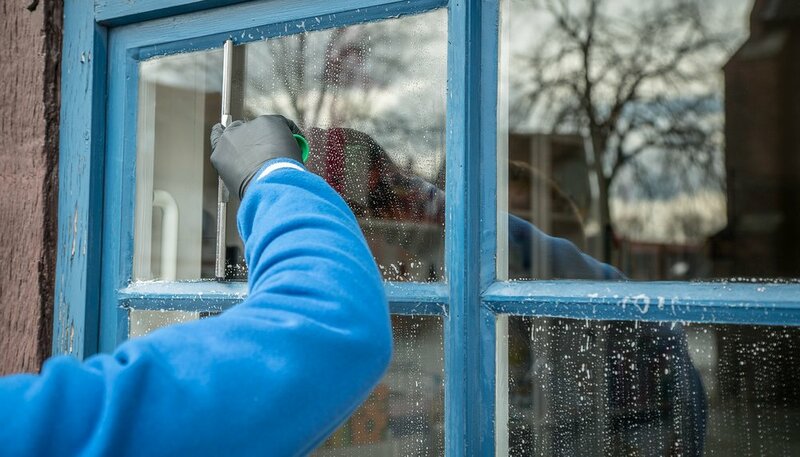 Check the windows for imperfections like bubbles or lifted edges, and alert your installer prior to cleaning if found. 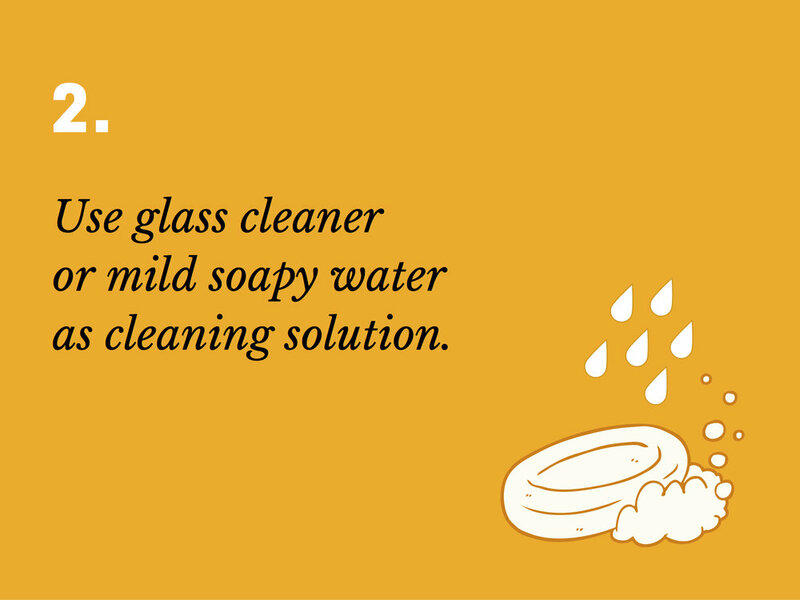 Take extra care in cleaning the seam where the window film is adhered to the glass. You won’t need heavy cleaning solutions or chemicals. Steer clear of ammonia or any products containing ammonia – read the label. Try plain water with a bit of gentle dish soap with water, or plain white vinegar – these products are gentle, affordable and safe for you and your window film. They can be applied by hand, or applied with a clean spray applicator bottle. Use soft lint-free cotton or microfiber towels to wash and dry your windows. If you prefer to use a squeegee, be sure that it does not include ANY metal parts that could gouge or scratch. If the window is coated with heavy dust or particulate matter, clean with plain water before proceeding. Avoid abrasive cleaning solutions, including baking soda. 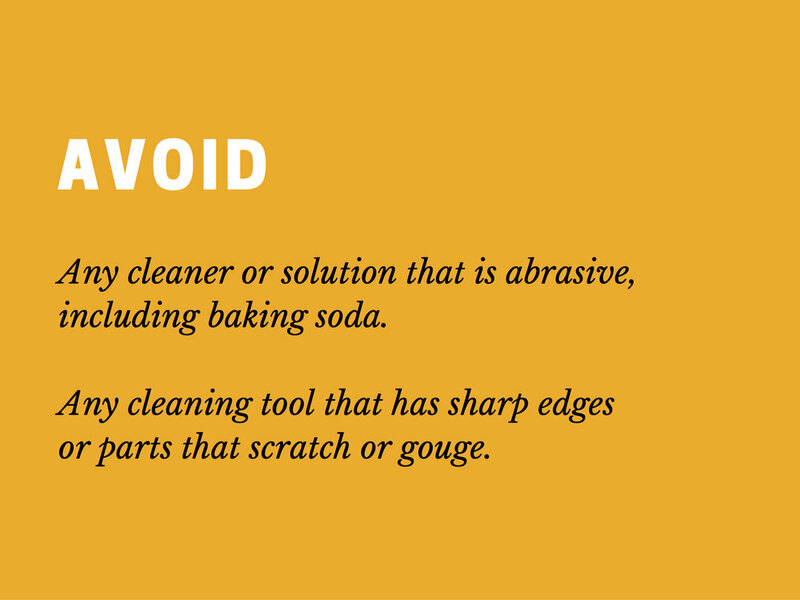 Avoid using any cleaning tool with a sharp edge or parts. Avoid scrubbing pads or scrubbing brushes. 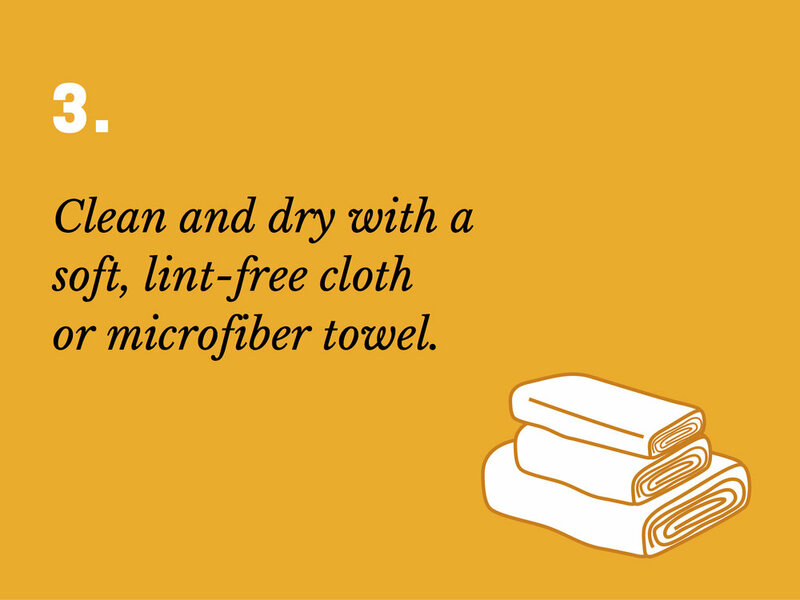 Avoid using paper towels; a soft cloth is recommended. Avoid heavy or brown paper products, too.